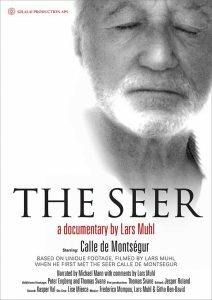 This is a rare first hand look into witnessing The Seer in his element, walking the sacred mountain of Montsegur in southwestern France. We are also with him in his home in Fuengirola in southern Spain as he is treating patients with distant healing. Some of the film footage is filmed with a hidden camera as we journey with Lars through his initiations by one of the most important healers of our time. Lars Muhl will introduce the film and will be available for a Question and Answer period afterwards.